With the advances in technology, users and search engines alike are demanding better and faster websites. Even Google is obsessed with speed on the web. Because of that, online services are also eager to improve their performances. And that’s where Flat-file CMS comes into the scene. When building a website, it can be confusing what solutions to use and which provider to subscribe to especially if there are too many choices laid out in front of you. Right now, Flat-file CMS is becoming popular because it solves most problems of new website owners and even developers. If you are considering getting a Flat-file CMS for your new venture, then continue reading along. What is a Flat CMS? First, let’s define what a Flat CMS means. CMS or Content Management System is a tool used to manage, publish, create, and design a website. It covers almost every aspect of your website and its content. If you are familiar with WordPress and Drupal, then you know how your choice of a CMS is critical for the success of your site. Now, let’s move on to what a flat CMS is really about. By the name itself, you may have already established in your mind that this one is simpler than what traditional CMS is, and you are totally correct. Flat CMS is a lightweight alternative that’s usually recommended for small businesses and personal websites. It does not require databases but rather, it stores all the data into files and folders. This article will show you the benefits of using Flat CMS and will help you decide whether it’s right for you or not. What are the benefits of using a Flat CMS? A Flat CMS is usually faster than traditional ones because there is no need to wait for databases connections. WordPress sites can achieve to load at 3 seconds but sites that are created with Flat CMS even loads faster than that. This will hugely impact the site’s SEO performance, user experience, and conversion rates. In other words, there is a lot to gain with a website that loads in just a snap. Again, let’s compare it to the all-famous WordPress. You can easily create a website with it in just 5-minute installation, but there is still a lot to setup and configure after that. Meanwhile, if you are using a flat CMS, the installation would just mean uploading of files and folders. Having a flat-file CMS makes it easy to migrate from one hosting provider to another. Often, it comes with auto-backup that is simple to install and backup. This is particularly useful for developers who have clients that often change their business and website settings. Grav may be the most popular FFMCS among all their competitors. It is packed with features including one-click installs of themes and plugins, responsive design, and SEO friendliness. They can also give you a quick snapshot and chart of your website’s statistics and performance. 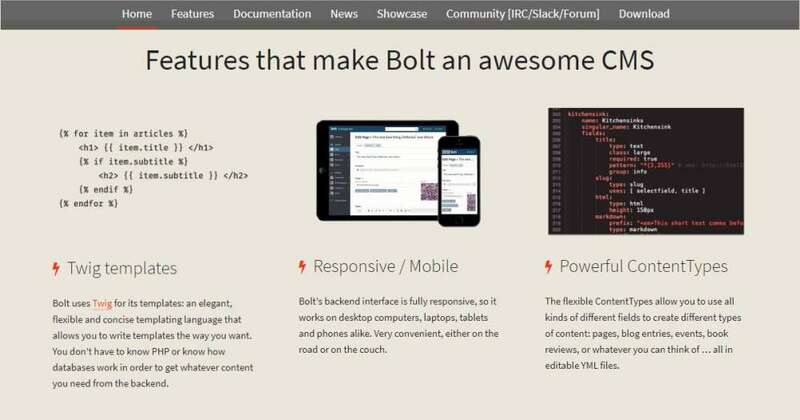 Bolt comes with a simple yet functional interface where one can easily start a website without much training. They are also flexible for front and backend developers where they can integrate their own choice of code and editor. One more thing about Bolt is if you’d like to share the theme you created with the rest to see, you can do so here. According to them, the beauty of Pico is in its simplicity. Even their codes aim to be as simple as it can get if you ever need to tweak something. But actually, it’s possible to create your own website with Pico without any HTML knowledge. Furthermore, Pico is an open source software. Meaning, it’s free to use and modify that’s why they also welcome feedback and contributions to help make Pico even better. Unlike a traditional CMS, FFCMS doesn’t need access to your server to function. Because of that, it has low system requirements and will run on almost all web space. Traditional CMS have already proven their capabilities, no question about that. However, a lot of their features may not be useful to people who just need to create a simple website. Simple websites may include a portfolio, landing pages, or personal blogs. 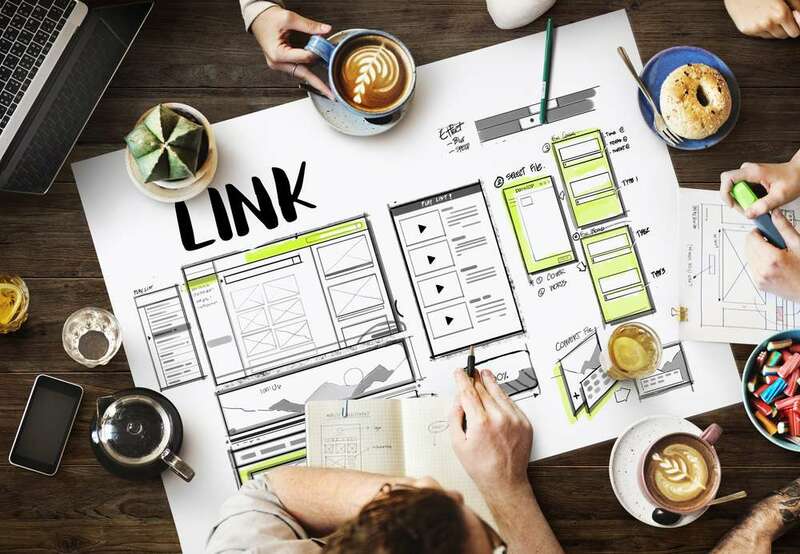 If you are looking for a simpler interface and easy to use service for your new website, a Flat-file CMS could be perfect for you.